Sue and I are running JPCC as a “not for profit” club and all membership monies will be re-invested into the club to help us keep the cost of kit down as well as provide other services to our members. These will include “maintenance evenings” including our popular “prepairing your bike for winter and summer as well as one off evenings on gearing, braking and bearings. As most of you know I am currently trained (and continue to train) with Cytech to improve on my bike maintenance qualifications. More things to come as we grow. The following friends have kindly offered a genuine discount for JPCC members. I am very garteful to all of them. Please do not abuse these discounts, they are for fully paid up members only. Thank you guys. 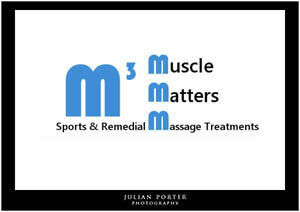 With studio’s in Romsey and Ringwood MMM are perfecly placed for your sports massage needs. I offer Sports and Remedial Massage treatments (including Strapping and Taping and Medical Acupuncture for Musculoskeletal Conditions) for everyone! I have treated clients from the ages of 4 to 84! Sports and Remedial Massage Treatments are not just for sports people! They are for everyone! 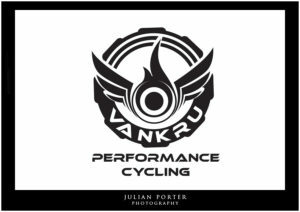 Vankru is an independent bike fitting and cycling coaching studio based near Winchester, Hampshire. Bike fitting is about fitting a bike to your body and the way you ride. We indentify and understand you and your ride, we provide solutions to give you increased comfort, greater energy efficiency and improved overall performance. Since being established in 2009, we have helped cyclists optimise their bike setup, riding position and training plans. We work with all cyclists from the committed commuter to competitive professional. Our bike fit experts are highly experienced and are accredited to the highest level with Retul and Body Geometry Fit, the world’s leading bike fit educations. First Retul Master Fitter in the UK, 2013. First Body Geometry Certified Fitter in UK, 2014. Listed in Top 10 Bike Fitters in the UK – Cycling Weekly. They have received training from the very best teachers of bike fit including Todd Carver (founder of Retul), Andrew Pruitt EdD (Founder of Body Geometry Fit), Paul Swift (Founder of Bikefit) and Jon Irriberi (Bike Fitter for World Tour Team Lotto-Jumbo). In 2016, our studio was proudly awarded Level 3 status from the IBFI independent body. 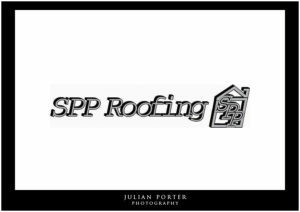 SPP roofing, owned and run by my brother Scott are a Southampton based roofing company, with over 25 years experience in all aspects of roofing works. They offer a full service for the customer, from a full written quote to the insurance backed guarantees. They specialize in all aspects of flat roofing, including warm roofs to cold roofs and metal timber decking. My good friend Faith has offered an amazing 20% discount to club members, Faith completed her Masters in Physiotherapy in 2007 after achieving a First Class Degree from Loughborough University in Sports Science. After 2 years of working in the NHS Faith has worked in the private sector mastering the skills of musculoskeletal treatments such as neck, back and shoulder injuries. Alongside working for Hampshire Physio, Faith is the Lead Physiotherapist for a Paralympic Team and works closely with track and field athletes with England Athletics. Faith was a core member of the British Team during the Paralympic Games where she was Lead Physio helping the Goalball Team achieve 5th place. Before qualifying as a Physio Faith represented her country in Athletics and more recently has represented Great Britain at the European and World Triathlon Championships. Through her own personal experience and her academic studies Faith is ideally placed to assist any athlete with injuries and rehabilitation. Once you become a member you will be entitled to 10% off all of our studio based work. Those of you that buy a club Jersey or kit will be invited along to a free photoshoot to help show off our club colours and of course you will get a superb digital photo to show off as your profile photo on facebook, twitter and strava etc. Weddings can be discussed on a one to one basis. Moments are an art, not a science. There’s no technical precision behind a moment. They’re beautiful happenstances of light and movement and observation: a tangle of hair in the late-afternoon sun; children laughing on an English lawn; an ivory dress in a marble hall. Yes, moments are romantic. Yet, as the shutter falls, romantic observation is etched forever in digital format. That’s Julian Porter Photography – a perfect marriage of the romantic and the technical. Julian and Sue Porter would rather capture a moment than create it. Julian races cycles for fun. He loves the beauty and the joy of weddings. Yet Julian’s as happy in his digital editing suite as he is capturing the play of light around the smiling face of a beautiful bridesmaid. Julian and Sue will arrive far too early for your wedding. They’ll work with meticulous attention to detail. Julian will have two cameras around his neck, while Sue, his wife of more than 20 years, will carry another. It’s a dual perspective on the biggest day of your life. Sue brings a feminine focus to the detail that makes your day: the home-made invitations, the elaborate favors, the beaded lace in your dress and the pleat in your shoes. Her shutter falls on tears and laughter, on small children, big hats, and beaming smiles. At home in the theater or deep in a romantic novel, Sue sees your wedding as the ultimate love story. Where did you meet? What did you wear? Where did he propose? You won’t notice Julian and Sue at your wedding. They’ll dress and act like guests. They’ll mingle and chat. They’ll nibble. They might even sip some wine. She’ll cry at the speeches; he’ll laugh fondly at her. In between, they’ll be hard at work, capturing moments like there’s no tomorrow. This is storybook photography at its best. Julian is a proud member of the prestigious Master Photographers Association (MPA) they seal each moment with a genuine love for there work. Then, when the flowers have faded and the confetti’s swept away you will be left with a beautiful selection of wedding photographs to cherish forever. Turn an ordinary dinner party into something extraordionary with our great friend Chef Gary. Gary provides the absolute best dinner party experience. Through choosing a career path as a chef, Gary has evoked a great passion for cooking, helping him to create elegant and innovative plates of food that really make the most of modern British cuisine. Eliciting great pleasure and pride by serving dishes full of flavour, wowing taste buds and tantalising the palette, He will bring love and pride into your Private Dinner Party menu. Contact him now to provide an unforgettable, unique and personal service in the comfort of your own home. Ga cycles (est:1987) has been serving Southampton’s cycling community for over 25 years. Specialising in High End Mountain, Road and Hybrid Bicycles. Our workshop is recognized not only for its high standard of service, but also the level of expertise in jobs that are on the more technical side including Wheel Building, Machining Parts, Frame Repairs, Fork servicing, Disc Brake Servicing, Bike & Frame Restoration, Welding, Frame Painting. Aside from myself and Canyon. Gary, Matt and Sam at GA cycles are the only people that look after my bikes. I personally vouch for everything GA does. Absolute amazing proper bike shop. I have all my wheels serviced here anually and they are perfectly true. 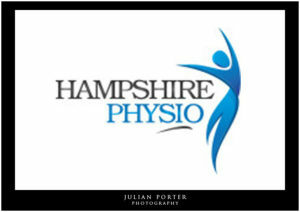 therapy2fit is delighted to be able offer £5 off sports massage treatments to JPCC cycling members. You can find me in Shirley precinct above Sainsbury’s; access is via the free carpark and through Exile MMA Gym and Studio Red Fitness. Many appreciate the help and support a massage therapist, like me, can give; having come to see sports massage therapy as a necessity alongside their regular training routines. Why wait for some injuries to occur when you can actively prevent them? To find out more and make an appointment you can contact becky@therapy2fit.co.uk or go straight to the website therapy2fit.co.uk I look forward to hearing from you.